With the ready-to-use wireless Smart Dimmers, you can brighten and dim your lights without a wired-in installation. It is powered by a 3v small watch battery. Incredibly safe for the bathroom. 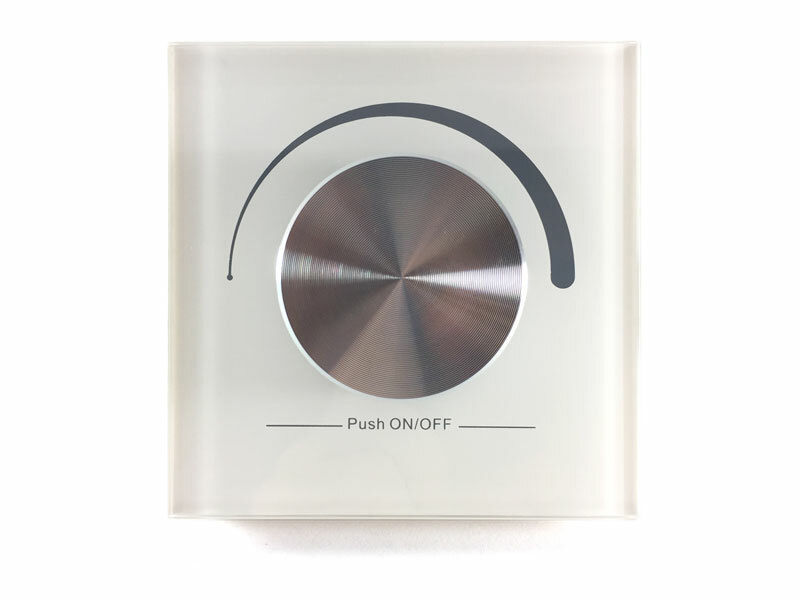 The Smart Wall Dimmer has a high gloss white front panel with a classic rotary dial. With 256 levels of logarithmic dimming from 0.1 % – 100%. Which makes this the perfect accessory for any lighted Mirror. 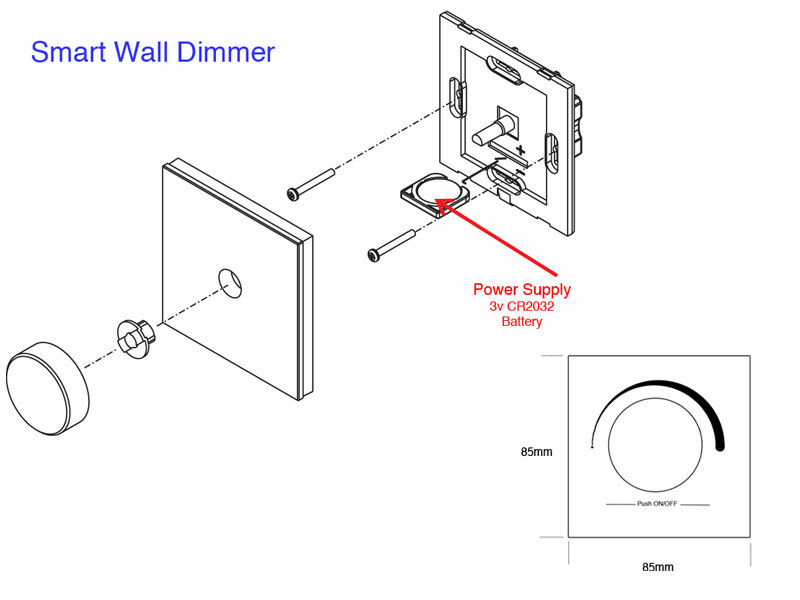 No need for an electrician, safely install the wall dimmer into any wall in the room. 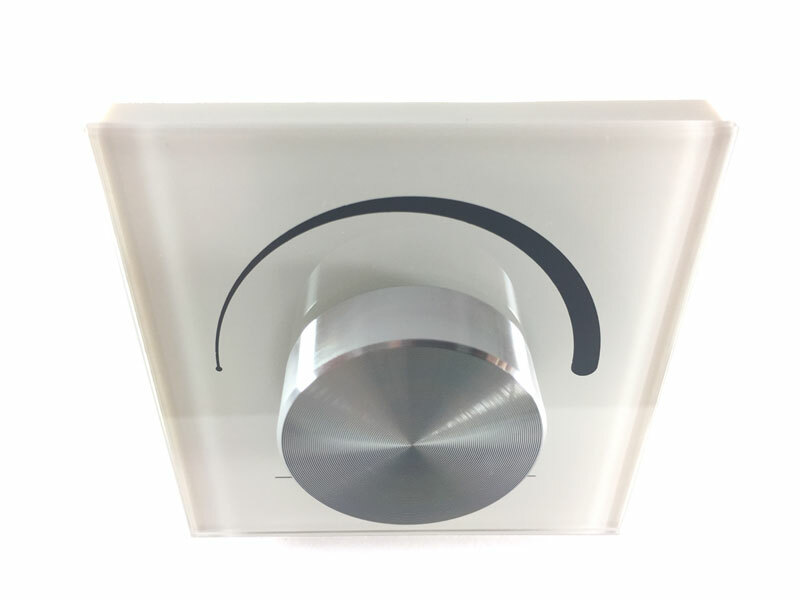 Powered by a small battery the Smart Wall Dimmer wireless connects to a Lighted Mirror of your choice. 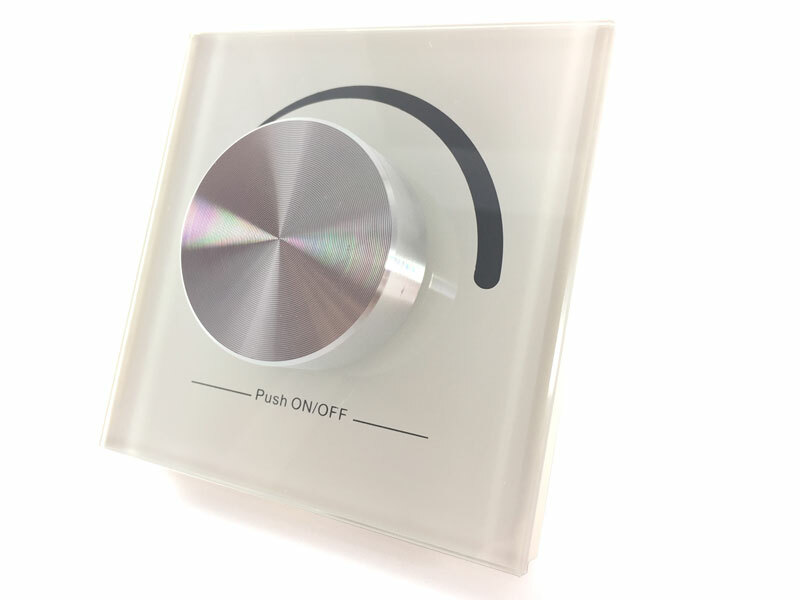 Rotate the dial on the Smart dimmer, and instantly the LED lights in your illuminated mirror will dim up or down depending on which way you rotate the dial. Dimming your LED lights in your lighted mirror mean less power is being drawn from the 12-volt transformer. This saves energy while still getting the benefits of your illuminated mirror. Dial, the brightness way up for shaving or applying, make up. Dim the LED lights way down to act as a soft night light in the bathroom for guests. 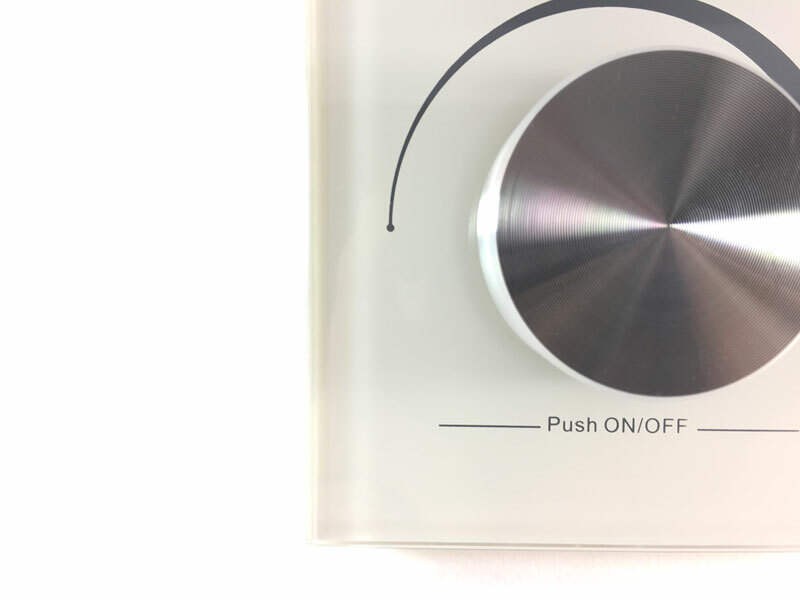 The Smart Wall Dimmer has a Push On/ Push Off function, which will smoothly fade the lights in the Lighted Mirror off and then fade up on when pushed on. 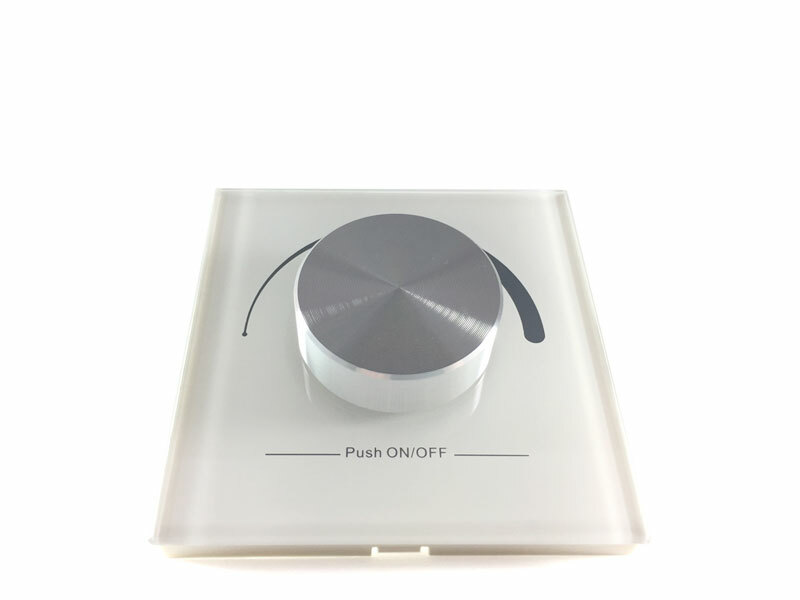 Uniquely programmed to your Lighted Mirror, set the desired amount of light and even when the LED’s in the mirror are turned off and then back on, The smart dimmer will remember the last setting. Powered by a small calculator or watch battery which can last 2 years and easy to replace if the battery dies. Battery include, already paired with your lighted mirror, works straight out of the box. Size of the dimmer is a square 85mm by 85mm. Want the Table Top version?